Let me start by saying, I love being Press. Without fail, every single time I attend an event as a member of the press, I get wined and dined and given the VIP treatment. Yes, I write news articles for a magazine in Zurich, but somehow that doesn’t make me feel like Press. I’m a marketer in a writer’s clothes. Ah well, if you have to take the perks that come with the job, you have to 🙂 Sidenote: And actually, it makes me really wonder why I never went into writing full-time? Career change?! 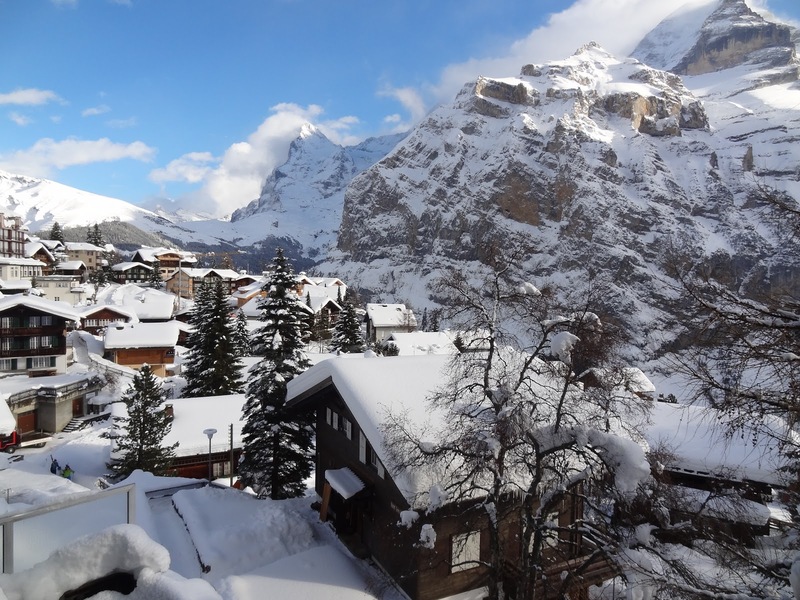 So a couple of weekends ago I was in the gorgeous little Swiss town of Mürren. 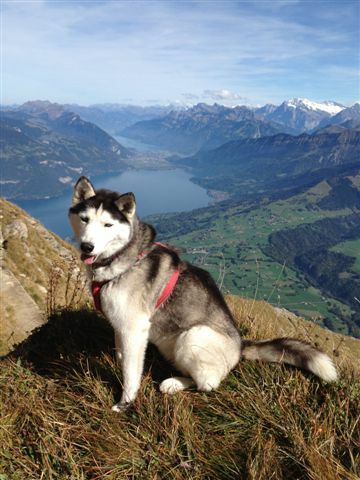 Originally I was there to write about how dog friendly the town is (you can read the article here). 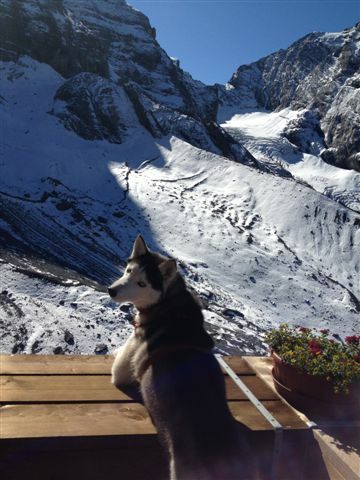 I couldn’t bring my own dogbaby because I was worried it might be too much travel for her (it wouldn’t have been), so I had to ask other people about their dog experiences in Mürren. This lady stopped to chat with us for 15 minutes and afterwards sent me about 25 pictures of her adorable dog in a variety of snow-filled scenes. Too cute not to share! 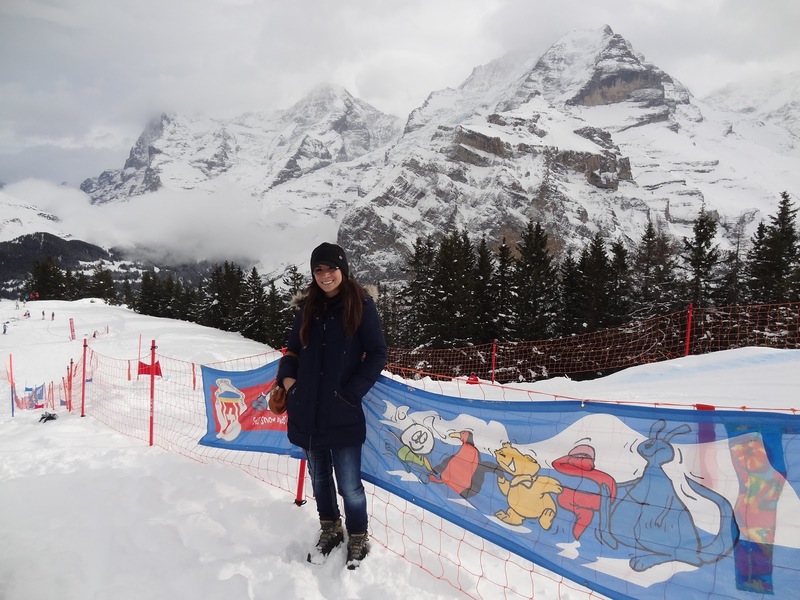 The weekend I went just happened to be the 100 year celebration of winter sports in Mürren. There was a big ceremony and, unbeknownst to me, I was hanging out all day with a world-wide celebrity! 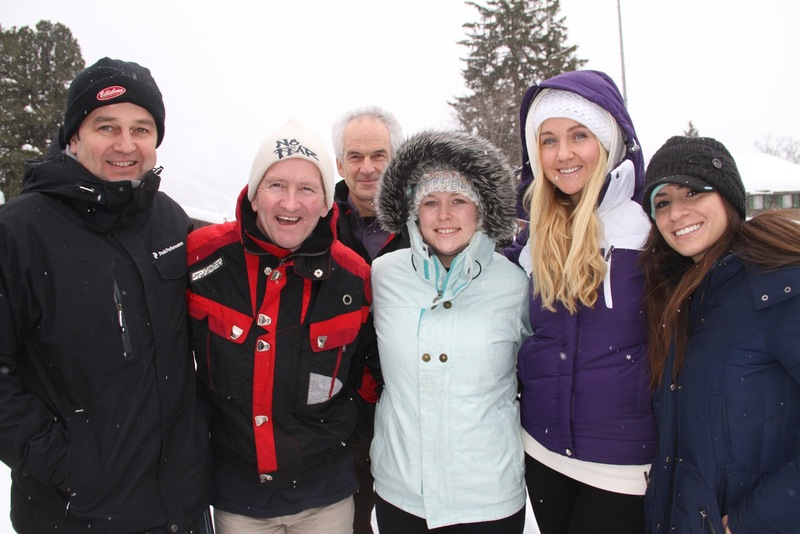 Eddie “The Eagle” Edwards was there to unveil a new fountain commemorating the event. Sidenote: Admittedly I had to ask the bratwurst guy who Eddie was, but in fairness if I ran into any Olympic competitor I would have to ask who they were, too. The Eagle is famous for being the only British ski jumper to attempt, and therefore qualify, to compete in the 1988 Winter Olympics, though he came in last at the actual events. Anyway, since we were the only native English speaking press there, we stuck together most of the day. And of course since the weekend was about winter sports I had to participate myself and go snowtubing! You can watch my video (but luckily you can’t really hear my yelling!! ).